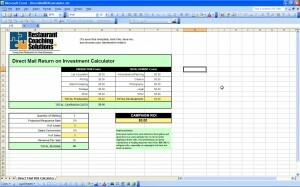 What is a Cash Flow ROI Valuation Model Audit Template? One of the most important factors when running a new business is up-to-date financial data. This is critical in the growth for a new business on many levels. A start up business typically has a set limit as to how much money is available for ongoing operations. This is why a free cash flow ROI valuation model audit Excel template can help in so many ways. Determining the return on investment is important to any business. It is one of the factors that can tell management the direction the company is headed, and about any changes that need to be made.